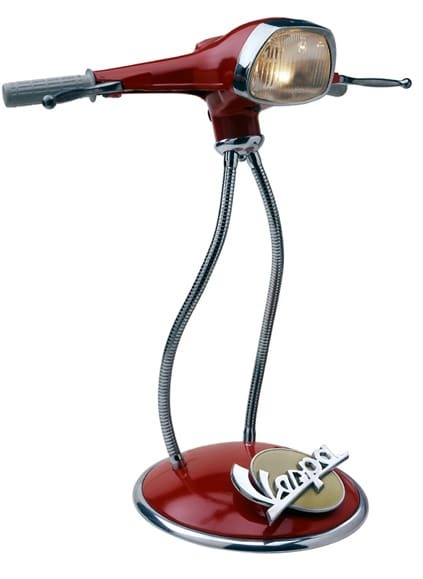 Home Designers Vespa Headlamp Desklamps, and More! 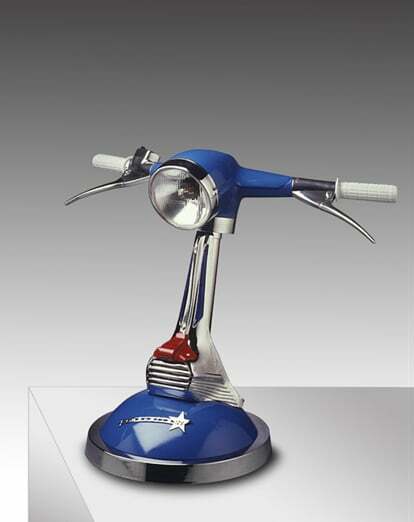 Vespa Headlamp Desklamps, and More! From a post at Make Mag, I discovered the absolute English translation hilarity that is Maurizio Lamponi Leopardi’s product and portfolio website. Even though the broken English is enough to keep you yucking for 20 minutes or so, his lamps are fantastic. He’s taken headlamps and handlebars and turned them into beautiful pieces that would look great on any desk. 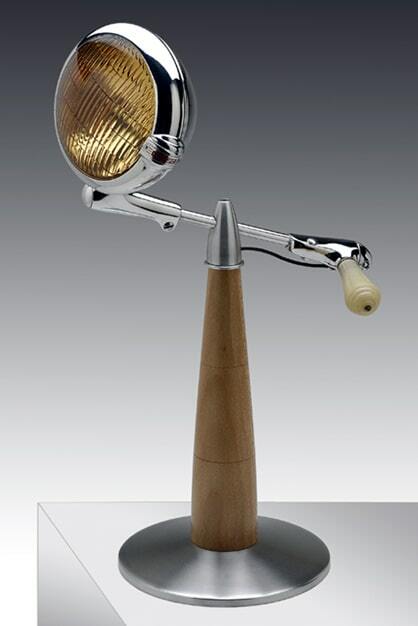 In addition to cycle, Vespa, and other two-wheeled forms of locomotion, he dabbles into airplane lamps, Greek mythology-based lamps, and others. Check out his site: Lamponi’s Lamps.